Looking back it’s been a huge year for Colony. Firstly, we went independent which was a huge move but one that had to be done. We had a full brand re-vamp with an all new logo & overall look. Cooper Brownlee came on board as the art director & then more recently as our team manager, photographer & as a pro team rider. 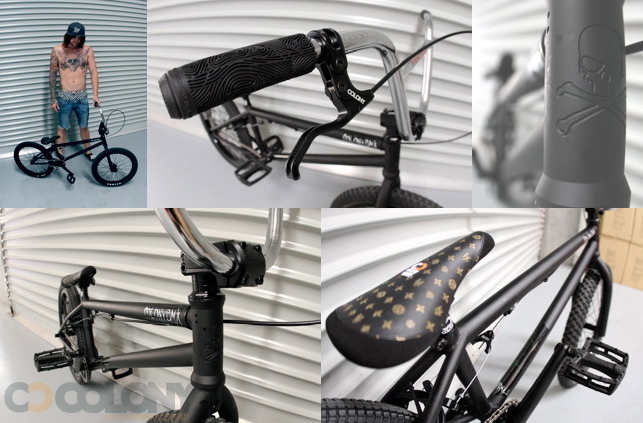 We launched many new products like our LFH grip, Clone rims & wheel sets & all new frames just to name a few. Mick Bayzand came back home from a few years in Canada. I got married. Tim Wood had a baby boy. Matt King had a baby girl. Alex Hiam became the world’s youngest pro rider with his own signature frame. The team punched out a good amount of web videos & we did a huge tour around south eastern Australia. None of this would have been possible without all your support out there. So to everyone that has bought one of our products, came out to ride with us, watched a web video or was just simply down for what we’re about – thank you. Wishing everyone out there the best 2010 possible !! We set up a Colony Facebook page, you can click here to become a fan and keep updated on the random happenings from the team and the brand. 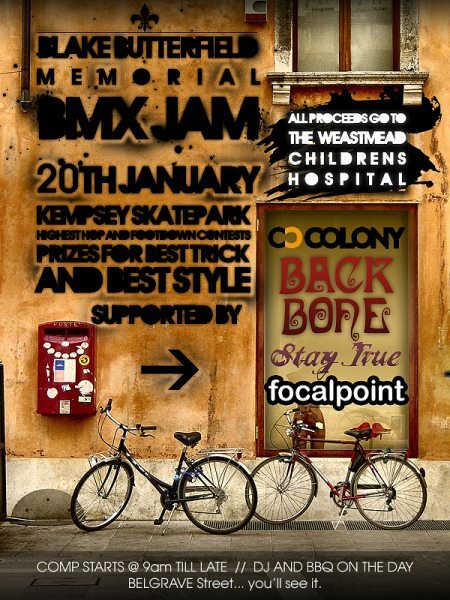 On January 20th there will be a memorial jam for Blake Butterfield in Kempsey, NSW. If you’re in the area or looking for an excuse for a roadtrip, make yourself to it for some fun. It’s all for a good cause too with all proceeds raised going to the Weastmead Children’s Hospital. One minute of riding from Ryan in Greenville. His backyard looks like so much fun, gotta get over there sometime soon for sure. Check it out. Wow, this is the 1001st news post since our site has been live since July 2007, crazy. Alex, Zac & Ryan all have a few clips in a mix section put together by Stewart up on Vital. Check it out & celebrate this little mile stone of our site. Word. By the way, Zac is in town at the moment as well. Hopefully it clears up so we can get some riding in. 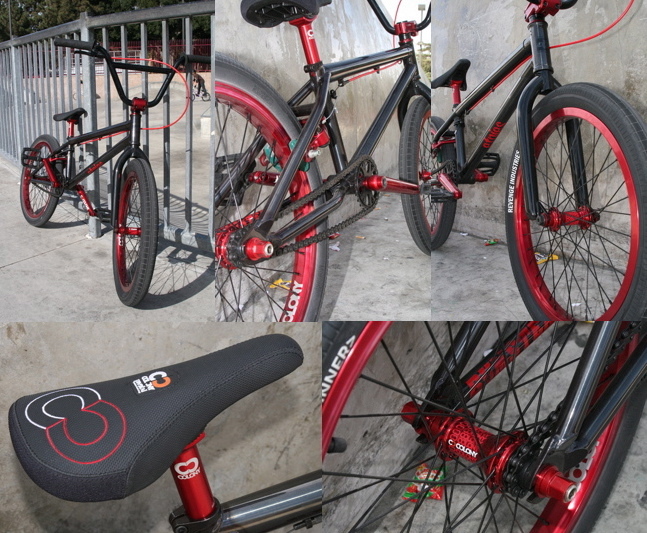 Shintaro setup a new bike recently and sent over some nice photos, thanks to Motoyoshi Yamanaka for shooting them. Looks dialed! 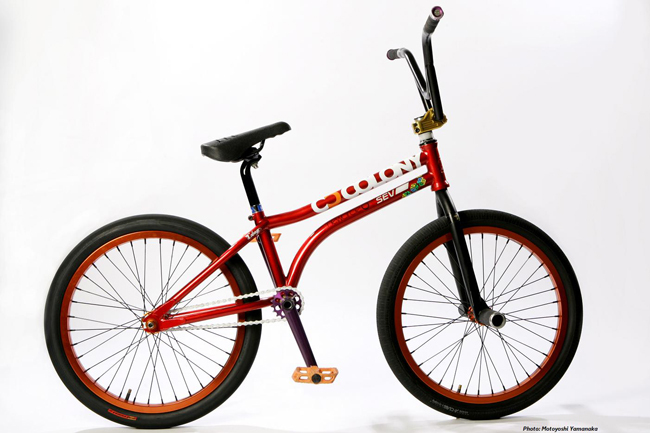 It’s fitting that our first collaboration with an Australian brand would be with Focalpoint BMX. I am stoked that Cooper was down with the idea & even more stoked on what he came up with design wise. Get them while they last as there were only 250 seats made & they are going fast. Click here now for more info. We have two styles available at the moment, our Logo cap & Liam Fahy-Hampton’s signature LFH cap. Click here now to check them both out now. From everyone here at Colony, we wish you all a fun and safe Christmas! Enjoy the day. First online issue of Defero, this one features the recent Flem Banks Jam. Zac, Marnold, Mick, Clint and myself all have footage in this one. Such a great day! Looks like Christmas has come early for Michal Mycek with his nice shiny new Teddy frame in our festive Candy Red. Also, check out the hop Michal has in the photo below… dang. 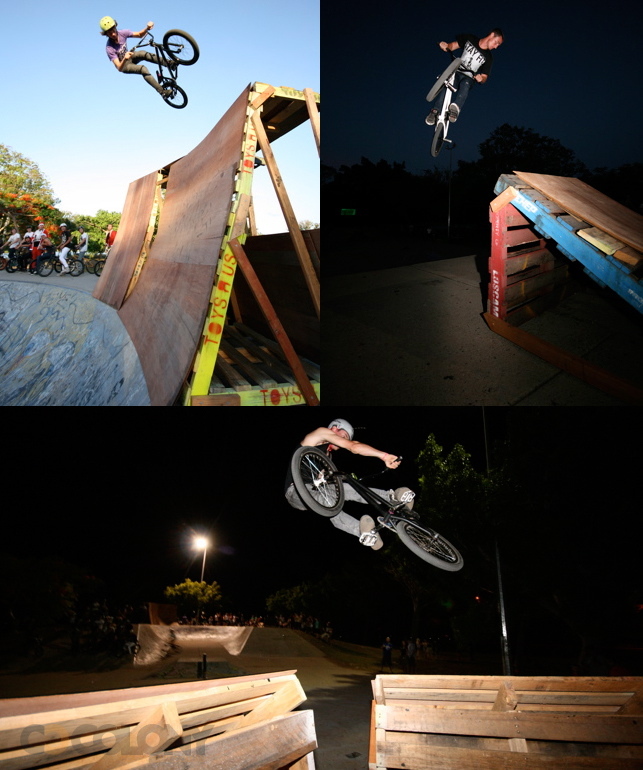 Derrick from Pure BS in Mackay sent in some pics from the jam there earlier in the month. Looks like it was fun with the ghetto set ups. Gotta make it for next years jam for sure. John Povah was kind enough to take a bunch of photos of Brian on his new bike decked out with Colony parts recently, along with a couple riding shots. Thanks John. Love the style in the full pipe & in the bowl Brian, reminds me so much of something from about 1987. Stoked. Check it below. 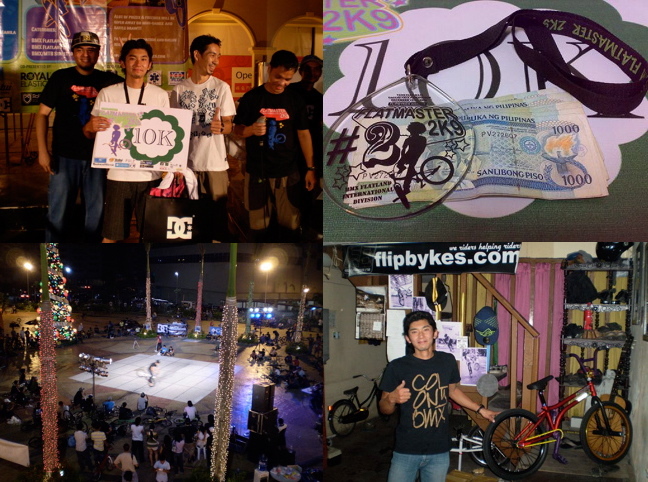 Shintaro Misawa recently visited the Philippines for a flatland event there & ended up taking out 2nd place. Congrats mate !! Shintaro really has had a great year on the worldwide flatland circuit & I am excited to see what he has in store for 2010. He also recently got himself a new sponsor in the form of Newcircle out of Australia. We have got behind this comp in Wangaratta with The Sanction to make it possible to have an impressive $700 purse for the open class. Get yourself there for some fun times no doubt. Go see Simon & Dre at The Sanction for more info. 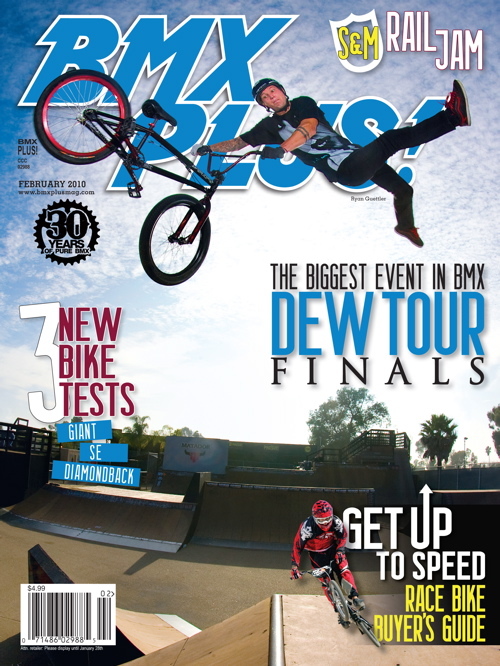 Guettler has scored the cover of the February 2010 issue of BMX Plus! Congrats Ryan !! 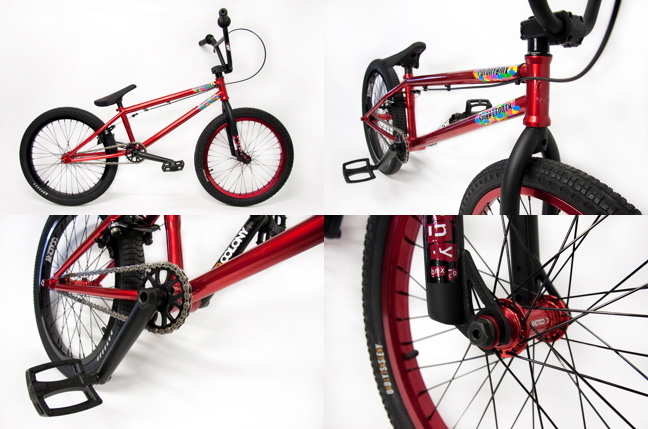 Check out this dialed custom Sweet Tooth the guys at Helensvale BMX put together for one lucky customer. … Cooper Brownlee !! Cooper has been an integral part of Colony for almost 12 months now being our art director & will now officially join the team as a pro rider as well as our team manager. He will be in charge of looking after the team worldwide, planning our team trips all over the planet & basically looking after everything to do with the team’s needs. Cooper will also take the role as our official photographer & videographer which will be a great asset to have. The entire team along with myself, welcome you with both arms mate & I am really looking forward to the years ahead. 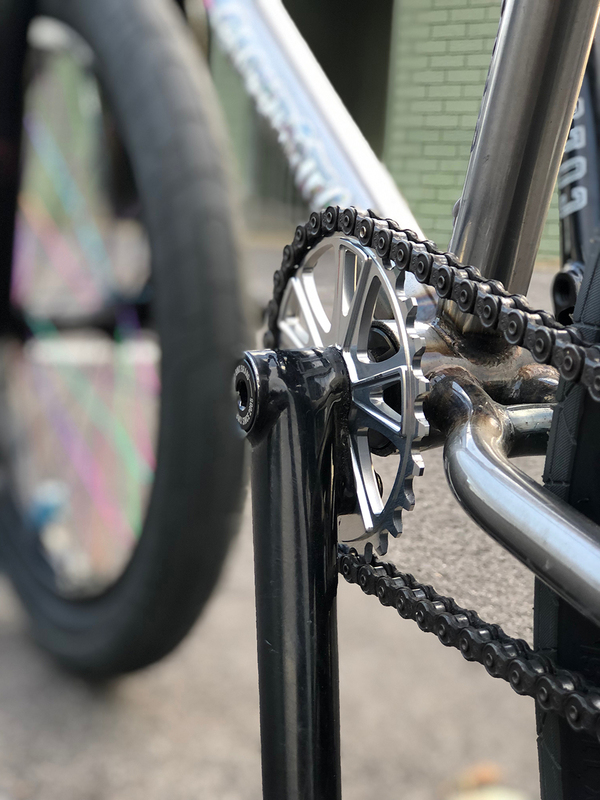 Check out Cooper’s first sequence on his brand new Teddy frame decked out with all Colony parts, full bike check & official team page coming soon. 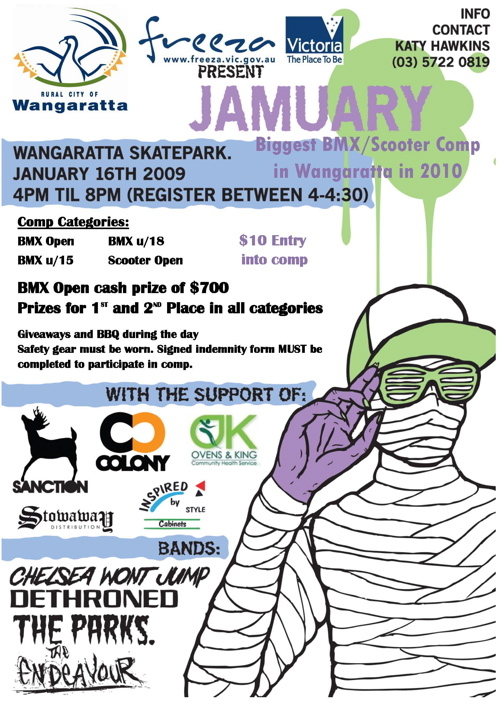 Check out this edit that Matt Dean put together from last weekend’s comp at Toormina. 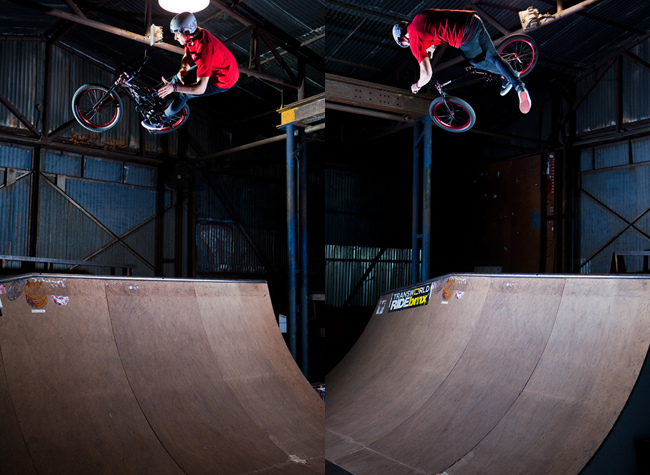 Colin Mackay put together this edit of Valvo on his last ride in the states for the year at JC park in Greenville. Check it out. I can’t say that I have ever formally met Stu Timms but to hear that anyone has had the life changing accident that he has just endured, is really shattering. Stu has become paralysed from the shoulders down. 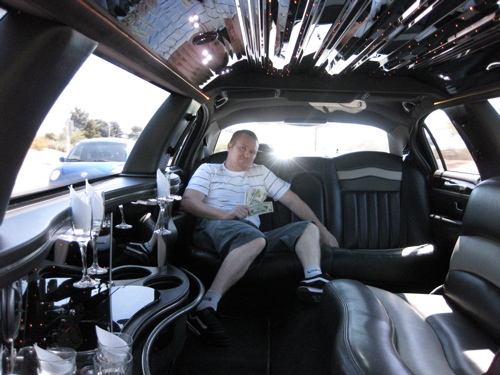 Click here now to check out his website with his story & please make a donation now. We can all only imagine what he & his family must be going through right now & I wish them all the best. Richo dropped by the office yesterday to show off his new Gnarkill built up by Helensvale BMX. He went good old Matt Black with Chrome Oath’s, very classical. Jye Otter & his father dropped by the office yesterday & dropped off a special gift in the way of these specially baked Colony cup cakes. 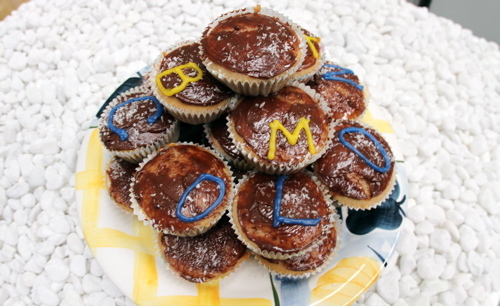 Jye baked them himself & will go very well with a nice cup of tea !! Thanks heaps guys… a really awesome pre-Xmas gift for sure. 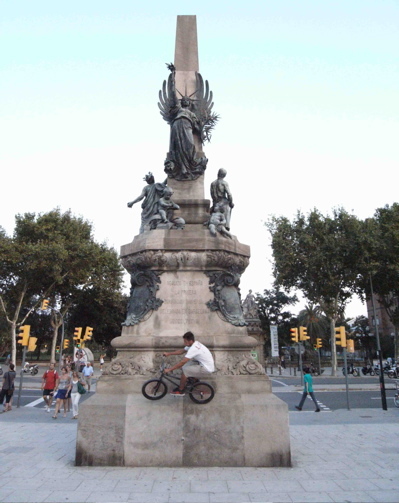 Fat Tony from Ride BMX (or should we call him Flat Tony now?) 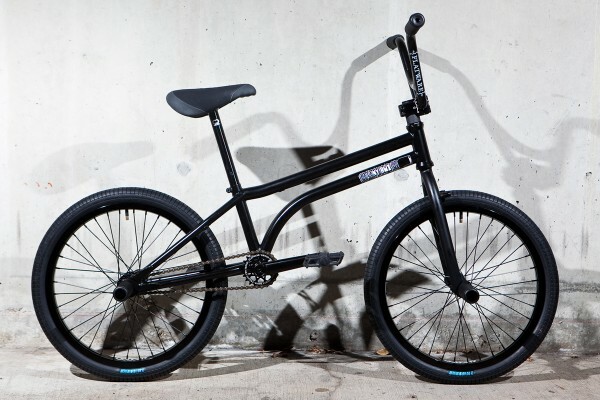 just built up a new flatland bike based around a Colony Cube frame & it looks the goods. Click here now for a full run down on his parts list… he has heaps of Colony parts in there, stoked. Liam’s signature grips are out now around the world & are getting some rather favourable feedback. Click here to check them out now. 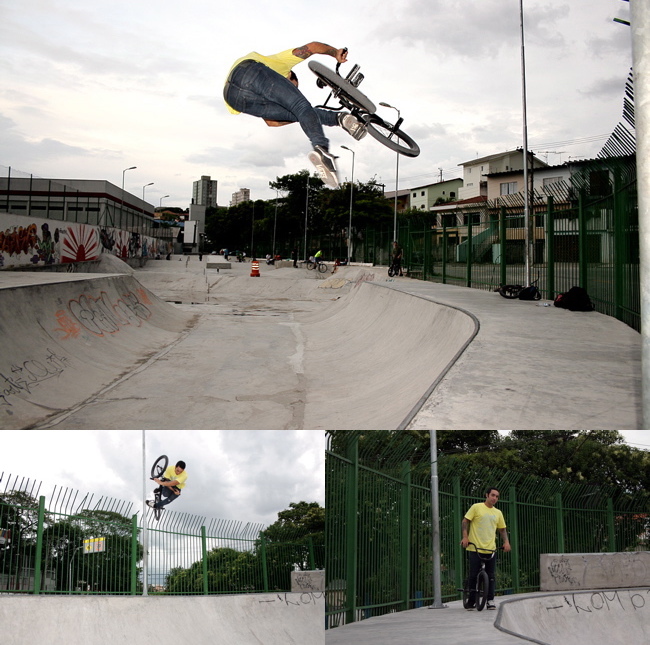 Valvoline sent in some pics of him riding a park in Brazil for us all to share. Gotta love a good nac nac. Dao Radivo just released Pete Radivo’s section from the ill fated 2003/04 ‘Glasses’ DVD. 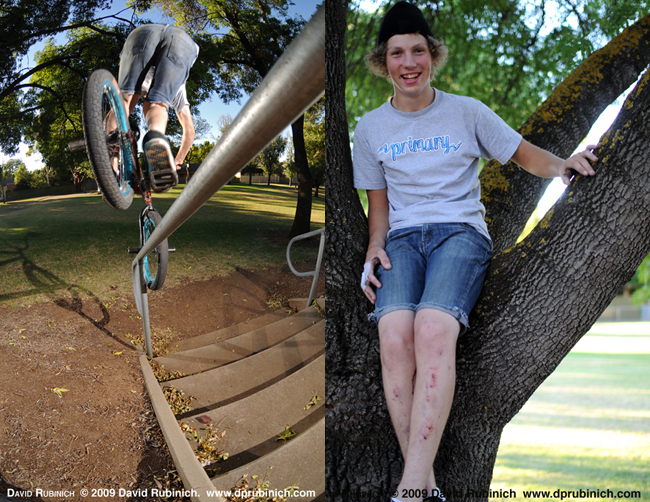 Check out why Pete is one of my all time favourite riders. 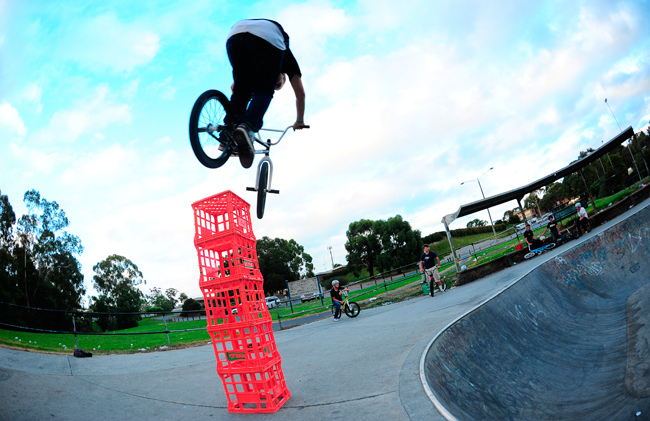 Marnold 180’s a stack of milk crates just for fun… captured by Cooper Brownlee.